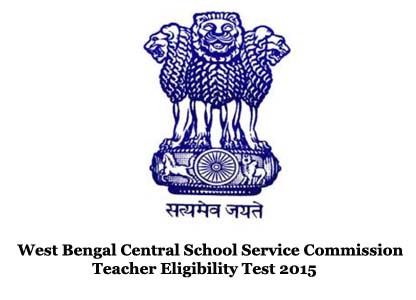 The West Bengal Central School Service Commission will conduct Teacher Eligibility Test (TET) 2015 , Paper - II, Upper Primary Level. Required Qualification : Graduation and 2-year Diploma in Elementary Education or Graduation with at least 50% marks and 1-year Bachelor in Education (B.Ed) or Senior Secondary (or its equivalent) with at least 50% marks and 4- year Bachelor in Elementary Education (B.El.Ed) or Senior Secondary (or its equivalent) with at least 50% marks and 4- year B.A/B.Sc.Ed or B.A.Ed/B.Sc.Ed. How to Apply : Candidate may apply Online through the website www.westbengalssc.com from 12.06.2015 for who applied for TET , 2013 and 18.06.2015 for Fresh Candidates to 30.06.2015.